Looking for a legal way to watch the Eagles online without cable? Visit our page now to get a Philadelphia Eagles live stream during the 2018 season! Incredible DVR, but small local channel options. Largest channel selection on the list, but a bit expensive at first. Data effective 9/4/18. Offers and availability may vary by location and are subject to change. Super Bowl MVP, Nick Foles, is looking to make history this season in Philadelphia with back-to-back Super Bowl wins. Having already beaten the NFL’s biggest threat, the New England Patriots, the Philadelphia Eagles can carry their momentum into this year’s regular season. Are you rooting for the Philadelphia Eagles this season? Well, you’re in the right place. Find out how to watch Philly football this fall with some of the best packages around. FOX will host them for 10 games. NBC will come in and take over for three games. NFL Network will swipe one game for itself. CBS will take one game as well. ESPN throws its hat into the ring and will show one game too. What’s the best channel option for this year’s best NFL team? Well, that’s up to you. But we’ll point out a few reasons we chose these services. Give them a look and let us know if this is how you want to watch. DIRECTV is for the fan that treats football night like a holiday. Thanks to NFL SUNDAY TICKET, Eagles fans can tailgate in the comfort of their own backyard. Or maybe it’s for the fan that wants to constantly update their fantasy football team. Whatever your football vice is, NFL SUNDAY TICKET is here to help. Let’s break down how DIRECTV works. So for your first year with DIRECTV’s CHOICE™ package, you’ll be paying $45 a month, as long as you sign up for paperless billing and the autopay feature. In return, you’ll be getting over 185 channels—and most importantly, NFL SUNDAY TICKET. This means you can watch every NFL game for the 2018 season. A big problem with streaming services is you’ll have to rely on local channels to see which football games are available. NFL SUNDAY TICKET gets you out-of-market games, but, for games broadcast locally, you’ll need to rely on local channels. In any case, we think that’s worth a touchdown dance (or two). Especially considering you get an entire season included with your package when you sign up. You won’t have to worry about infuriatingly long buffering circles or blurry faced players thanks to satellite TV. Here’s the rub, though: you signed a contract for two years, and Year One is great, but Year Two carries with it a few annoying details. Let’s start with NFL SUNDAY TICKET. The 2018 season was included in your first year, but if you want another season, it’ll cost you an arm and a leg—or about $293 in real-world figures. Last bit of bad news is, your price changes from $45 a month to $105 a month when your second year kicks off. We flipped our desk, too, when we found out, But when we collected our papers, we looked at the numbers and saw this is pretty consistent with other services in the long run. That’s because DIRECTV’s pricing starts out lower, while DISH packages are higher but don’t have price hikes in the second year. Unlimited DVR—not a joke, no limits. You can save all the SportsCenter highlights, along with all the movies and international baking shows you need (some of us need that last one more than others). We already mentioned the DVR, but let’s just mention it again ’cause it’s that important, and ’cause we like it.  PlayStation Vue’s DVR uses a cloud-based storage system, which means all your shows are kept in the clouds, digitally speaking. Notable downside though: the shows are only stored for up to 28 days. Plan your month accordingly, and keep an eye on how much time you have left on your shows. If everyone in your house wants to use the one TV in the living room at the same time, you’ll love this next part: PlayStation Vue lets you stream on up to five devices at once. You can watch the game on your phone in your bedroom, the living room, and yes, even the restroom. One thing you ought to be aware of: PlayStation Vue doesn’t have NFL SUNDAY TICKET, which means the games are in the hands of the local channels. PlayStation Vue suffers in this area because it doesn’t have a lot of local affiliates yet. With only 33 FOX channels available nationwide, you may want to make sure the channel you need is available before jumping on board. However, there is still good to be found. PlayStation Vue offers the Sports Pack, which includes channels like the NFL RedZone, so you’ll still be able to watch football goodness. It does come at a price, though, with an additional $10 to your bill, so be aware of extra fees before you sign up. DISH comes out on top if you want a large channel library and consistency with pricing. If you want some stability when it comes to your provider, like most people do, you may prefer DISH. DISH’s AMERICA’S TOP 120+ package stays at $69.99 a month for two years (oh yeah, we’re back to contracts). As far as the content you’ll be getting goes, though, it’s a pretty massive deal. You’ll get access to over 190 channels, and as long as you sign up for paperless billing, you won’t be paying in the triple digits every month. DISH also comes with a DVR, so you can save your shows, but you ought to be aware that it’s not unlimited like the PS Vue DVR is. Still, a max of 2000 hours (with a Hopper 3 from DISH) is a pretty good deal. Unfortunately, DISH doesn’t have an option to include NFL SUNDAY TICKET, which means you’re gonna be relying on in-market channels. DISH does have a great selection of local channels to choose from, but it’ll all depend where you live. Ultimately, that’s the reason why we placed DISH at the bottom of the list.  While its prices are typical of other satellite TV services, without NFL SUNDAY TICKET, it can’t compare to DIRECTV. So, you may prefer DIRECTV even if it’s just for one season. Football season is getting underway, and the Eagles’ starting lineup is already itching for some action. Don’t miss a second of the Eagles this season with our viewing recommendations. We’ve told you how we like to watch, so let us know what you think in the comments below.